Snap, where are my anibitmoji? The day we’ve all been waiting for is finally here. Apple’s highly anticipated iPhone X has made it into the hands of everyday customers. I’m a big weirdo, so I’ve been mostly looking forward to being able to use Face ID for the purposes of animoji. Animoji takes emoji to the extreme and it works using the iPhone X’s new facial recognition system. As Apple’s Craig Federighi explained at the company’s big press event in September, the goal of animoji is to “breathe our own personality” into our favorite emojis. So far, it’s great. But I want more. Here’s my idea: anibitmoji, a mashup of animoji and Bitmoji, owned by Snap. 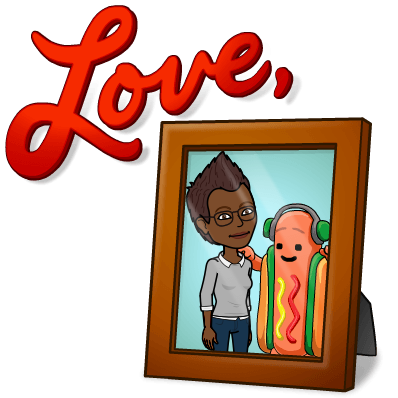 Instead of a talking pile of poo, what about a talking pile of my Bitmoji hanging out with the dancing hot dog? At that same event in September, Apple gave a shout-out to Snap, noting that the two companies are working together to create realistic filters that can track your facial expressions. In his iPhone X review, my boss was able to test out these new lenses, and they’re pretty sweet, so what’s one more integration? I’ve reached out to Snap and will update this story if I hear back.